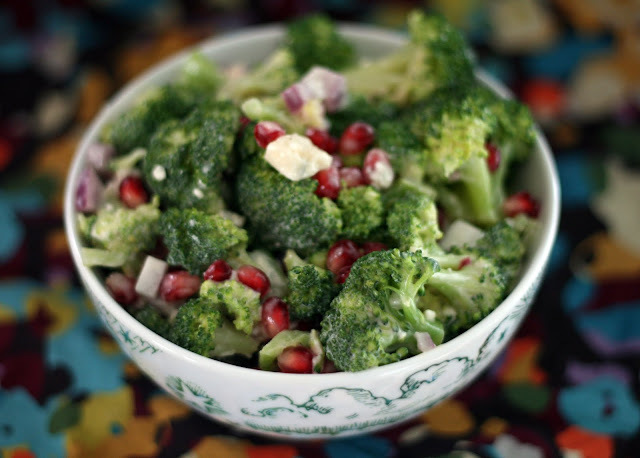 In a large bowl, toss together the broccoli, onion, pomegranate and Gorgonzola. Set aside. In a small bowl, whisk together the dressing. Drizzle over the salad, toss to coat and evenly distribute.